I had a revelation the other day. 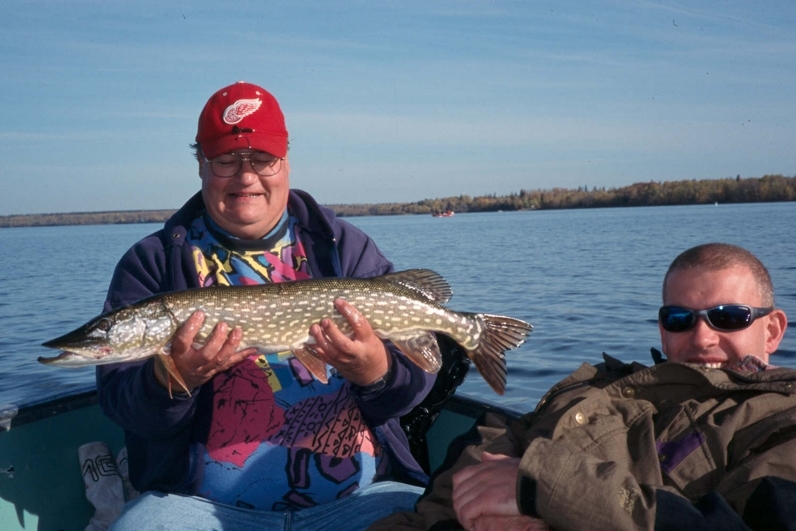 In the heat of all the great walleye, trout and mountain fishing I had been totally neglecting the northern pike. 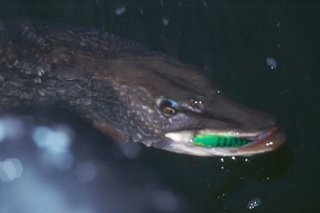 They were always an incidental catch during the prime walleye month of June. I never even gave catching pike much more than a second thought. That's changed. 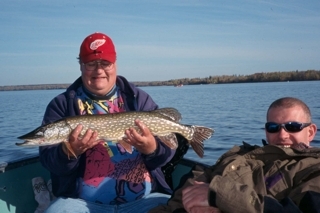 Randy, a friend of mine, told me about some good pike fishing at nearby Lessard Lake. What intrigued me the more I thought about this lake was the simple undeniable fact that this lake had only two fish in it: pike and perch. That was it. After thinking about that for a spell the idea of going fishing there grew on me. Chuck a spoon and any bite would be a pike, or a honking big perch. Find a handy weedline and there were probably going to be pike nearby. And, this wasn't a walleye lake, so all of those walleye starved anglers would never set a boat in this puddle of water. I started to grin. 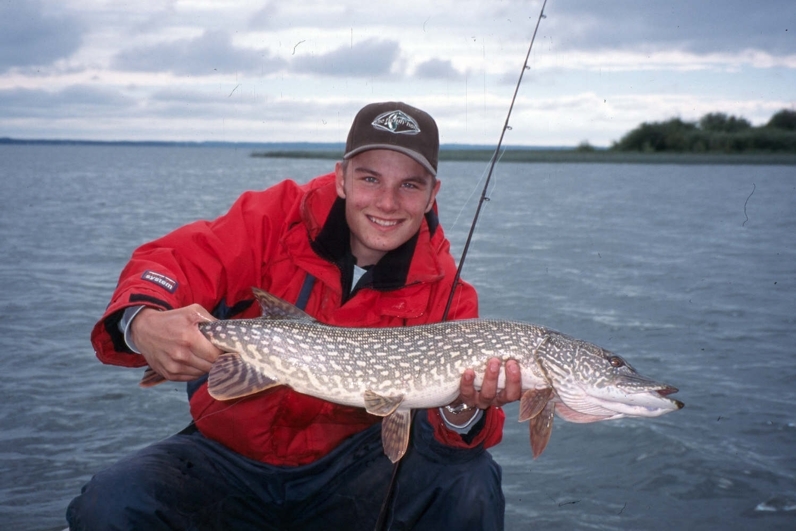 Hey, there's likely little to no fishing pressure and there's the chance of catching a big tasty toothy critter. I liked this even more and convinced my girlfriend Melanie to go out with me. "You wanna go?" I asked. "Yeah, that would be cool," was her reply. We dragged the crawdad out and at the boat launch I looked out into the water and saw a total of one other boat. These are my kind of conditions. We played around the shallows looking for minnows and such to see what the fish would eat, then we moved out to about 8 feet of water. We cast Rapala long cast minnows and Rapala husky jerks realizing a quick response. Soon our rods were bent with the tugging and pulling of hungry pike. I switched up to a topwater zara spook for kicks and found the pike to be lunging out of the water after them. The fishing was surprisingly good from start to finish and by the day's end I found a new respect for pike lakes. It's made me reconsider my fishing efforts. 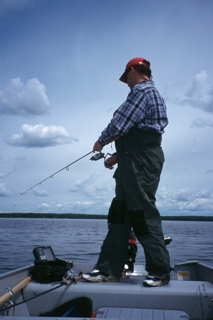 I've now looked in the Alberta Fishing Guide and found some other lakes that have no walleye, but pike and perch. I think I'll be checking those places a little more often from now on. You may want ot as well. Good luck and good fishin'.